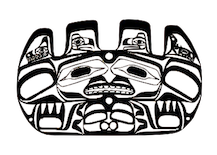 Welcome to the Heiltsuk Language and Culture Mobilization Partnership! Through a Memorandum of Understanding signed in 2016, the Heiltsuk Cultural Education Centre, the Bella Bella Community School and UBC’s First Nations and Endangered Languages Program are partnering to collaboratively create new opportunities for speaking, writing and reading the Heiltsuk language by expanding and deepening existing community language revitalization and cultural documentation in a digital environment. The partnership brings together students, staff and faculty in Vancouver and Bella Bella by providing spaces to productively combine academic and community goals. We are grateful to members of the Heiltsuk Nation in Bella Bella and beyond, for their gracious welcome and their invitation to work in respectful partnership in their traditional territories. 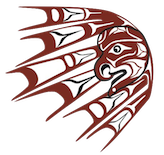 The Bella Bella Community School offers a full K-12 program whose curriculum incorporates Heiltsuk culture and traditions, supports the development of life-long independent learners, and seeks to qualify students to enter post-secondary school. For over thirty years, the Heiltsuk Cultural Education Centre has been devoted to researching, preserving, and revitalizing the history, language and cultural traditions of the Heiltsuk Nation. The First Nations and Endangered Languages Program at the University of British Columbia is committed to community-based collaboration with First Nations peoples. © 2019 Heiltsuk Language & Culture Mobilization Partnership. Background information: Bella Bella Bay, B.C. Photograph by Charles Horetzky ca 1874. Image I-68873 courtesy of the Royal BC Museum and Archives.